How can a barcode support public procurement processes? -When looking at how technology can improve procurement processes we don’t need to look further than a barcode. 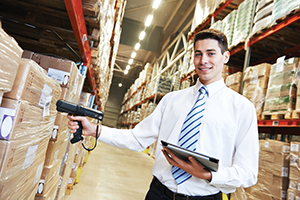 The retail sector has demonstrated the value of barcodes. They have reshaped the industry through standardisation and created billions of Euros in value and savings. What started as a way to speed up the grocery store checkout has become the global language of business GS1 : a common way for trading partners around the world to identify, capture, share and use information about products, locations, assets and much more. The business case for GS1 standards in public procurement has been proven in many countries worldwide e.g. National Product Catalogue (NPC) for healthcare in Australia, eInvoicing in Denmark and more recently, the eProcurement strategy published and adopted by the UK Department of Health (DH). The UK eProcurement strategy is intended to support patients, procurement and finance teams and healthcare professionals. It will improve cost management at NHS Trust level by providing visibility, transparency and accountability down to the patient level. The opportunity for savings is well documented. “As part of this strategy, DH will mandate through contracts the use of GS1 coding for the NHS, create a single NHS GS1 datapool for the NHS to use in its systems and centrally invest in enabling Product Information Management and Messaging technologies.” Better Procurement, Better Value, Better Care – A procurement development programme for the NHS, August 2013. Within the Irish Healthcare sector, the State’s biggest non-pay public cost centre, it is important that there is a strong focus on extracting full value from all incurred costs. Additionally, government policy favouring a “money follows the patient” model, as well as impending regulatory changes supporting traceability for pharmaceuticals and medical devices, will further drive the need for joined-up procurement and traceability systems across the supply chain, up to and including the point of care. The Australian government recognised and addressed this challenge several years ago. They set about establishing a model for the standardisation of product coding, locations and product data using GS1 standards to identify the products and the UNSPSC classification system to classify the products. They established their National Product Catalogue (NPC) to address the need for accurate data to enable eProcurement and other eHealth applications. Today Australia has 300,000 items in its catalogue and this catalogue is being leveraged by a range of public sector agencies as a source of accurate product data. The learnings from this standards-based approach have been successfully applied at St James’s Hospital (SJH) which provides an eProcurement model for healthcare in Ireland. The model adopted focuses on a complete and paperless business process starting with matching the product data from the supplier to the hospital data and then electronically processing the four key business transactions from purchase order to invoice, minimising the need for human intervention and improving the speed and accuracy of the process. SJH are now including compliance to GS1 standards in their tenders and are engaging their suppliers on this programme. 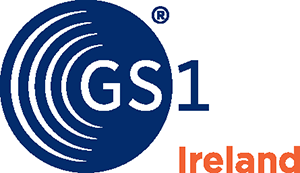 GS1 licences the most widely-used system of supply chain standards, serving more than 2 million public and private sector organisations worldwide.